Whether you are on a solo sojourn in search of inner peace, an adventure backpack tour with your besties or a honeymoon trip with your beloved, Manali and its mountains will never cease to fascinate you. The hill town has blossomed into a paradise for the wandering heart and it also has some cultural gems that are unique to this part of the world. And the budget-friendly hotels in Manali will take care of your accommodation while giving you a taste of the hospitality the region is known for. Also known by the names Hidimba Devi Temple and Dhungari Temple, this ancient shrine was built by Maharaja Bahadur Singh way back in 1553. 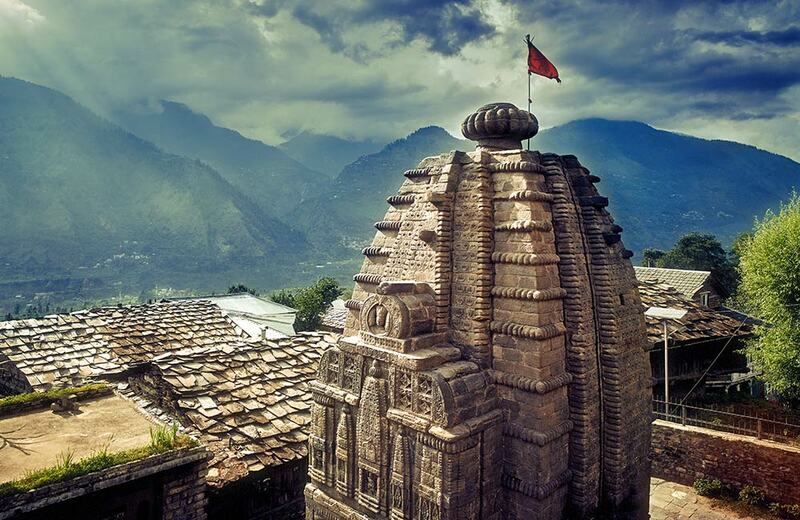 As the name suggests, the temple is dedicated to Hidimba Devi, wife of Bheema. The wooden architecture of the shrine is very distinct from most Hindu temples you will come across in the country. There’s another shrine dedicated to Hidimba Devi’ son Ghatotkacha in the premises. Surrounded by thick cedar groves and with snow-capped mountains serving as the backdrop, the temple is one of the best places to visit in Manali. A mini valley located at about 8400 feet above sea level, Solang Nala is a short drive away from Manali. It is a haven for adventure and sports lovers and while here, you can try your skills on a pair of skis or go for a snowmobile exploration. When the weather warms up, people flock here for zorbing and paragliding. You can also hop onto a cable car and enjoy mesmerizing views of the Himalayas. If you are looking for snow-based activities and sports, winters are the best time to visit while the months of summer are ideal for other adventure sports. 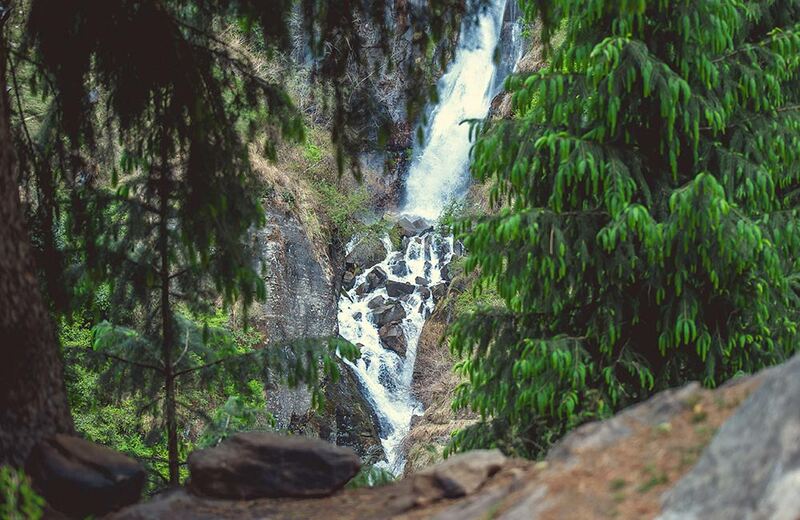 The rushing cascades of Jogini Falls are a short and invigorating trek away from the main town of Manali. The trail that leads to the waterfall is scenic and gives you a glimpse of the River Beas and the snow-capped peaks of Rohtang. Apart from the serene setting, Jogini is also an important place of pilgrimage and you can visit many old shrines around the pool at the bottom. 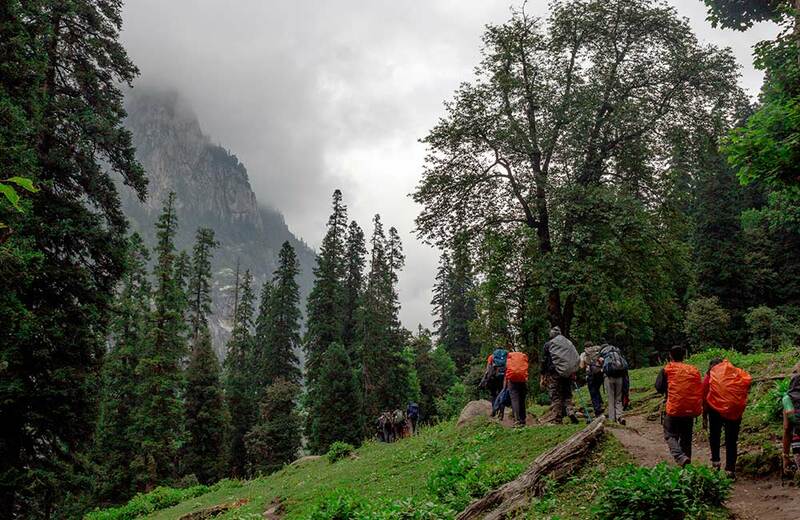 An early start is recommended so that you can spend more time at this picturesque natural spot, which is one of the top trekking as well as picnic places in Manali. The Manu Temple is dedicated to an old sage after whom it has been named. The pagoda-style architecture of the shrine stands out amidst the deep valleys and mountain peaks that form a postcard-worthy backdrop. You will have to hike a little to reach the temple, but the views at the summit and the spiritual vibes it exudes make all your efforts completely worth it. 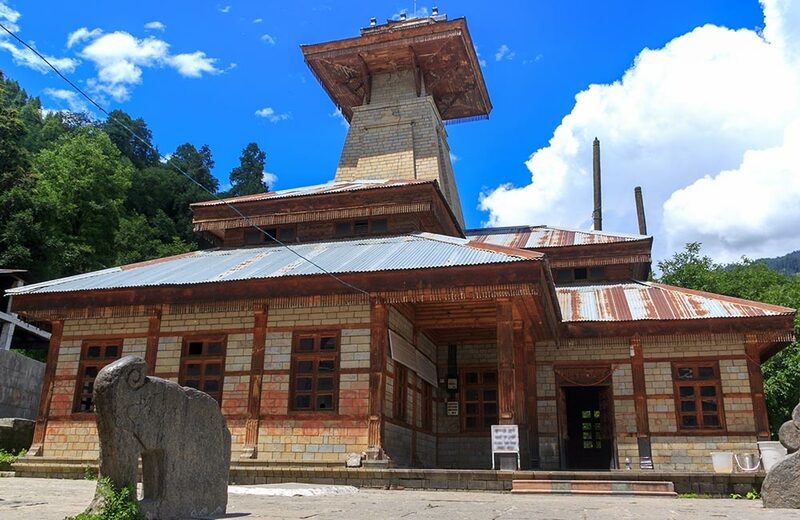 The ornate design and the quintessential Tibetan architecture make the Gadhan Thekchhokling Gompa, more commonly referred to as the Manali Gompa, one of the finest landmarks in Manali. 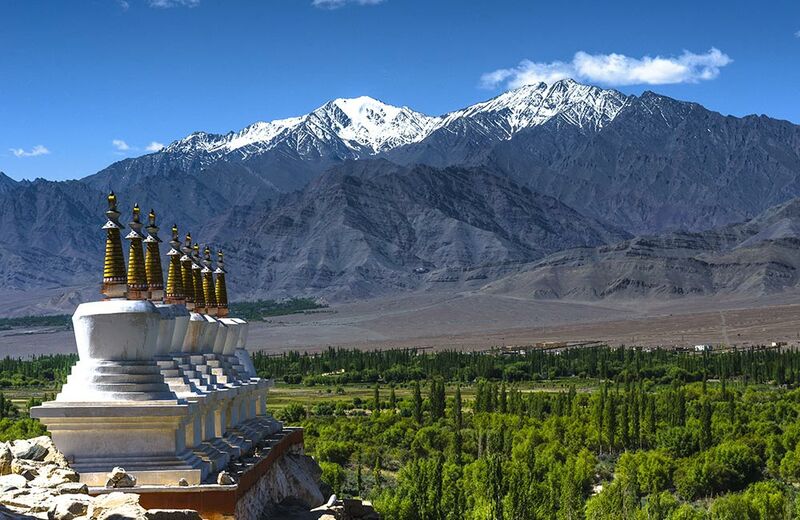 Built by Tibetan refugees in the 1960s, this monastery allows you to enjoy quiet settings and unmatched spiritual vibes. Some of the key highlights of the Manali Gompa include exquisite murals that depict important events of Buddhism in vivid colors and roofs built in the Pagoda style. The stalls in the complex are a good place to pick up some souvenirs and Tibetan handicraft items. Take a moment and think of postcard-perfect alpine meadows and evergreen tree forests near a serene high-altitude water body. 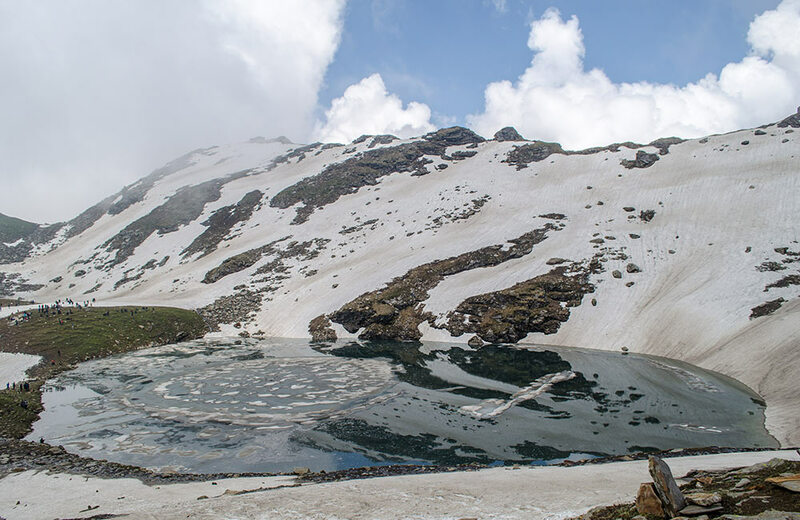 Well, you have just now pictured Bhrigu Lake, one of the best trekking destinations around Manali. A bit of acclimatization is needed if you are going for the trek as the lake is located more than 4000 meters above sea level. The scenery and panoramic views of the Pir Panjal Range are what draws most visitors to this place. Counted as one of the easy-to-medium-difficulty Himalayan treks, the Hampta Pass trek allows you to enjoy mesmerizing views of the Kullu Valley and Lahaul Valley. The Chandratal Lake located en route is another key attraction of the trek. The pass is located on the Pir Panjal Range at an elevation of over 4000 meters and the route includes fascinating river crossings. There are many groups in Manali that conduct Hampta Pass trekking tours and their charges vary based on the itinerary and the number of days. A natural spring located on the Manali – Rohtang Pass Highway, Nehru Kund is a good place to visit during summers. The spring is named so because Nehru, India’s first prime minister, used to visit it during his stay in Manali and drink water from this natural spring. The clear waters and the calm Himalayan landscapes make this a good stop for those heading over to the Rohtang Pass. It goes without saying that Nehru Kund makes for an ideal destination for photographers and nature lovers. Located close to the gushing currents of the Beas River, the Arjun Cave is associated with a legendary story from the Hindu epic Mahabharata. As per the legend, Arjun, who was one of the Pandava brothers, meditated here. One of the best places near Manali for a basket picnic, Arjun Cave offers stunning views of the hills and the valleys surrounding it. You can also visit the Kunt Bhayo Lake and Kunti Mata Temple, two of the key attractions near the cave. 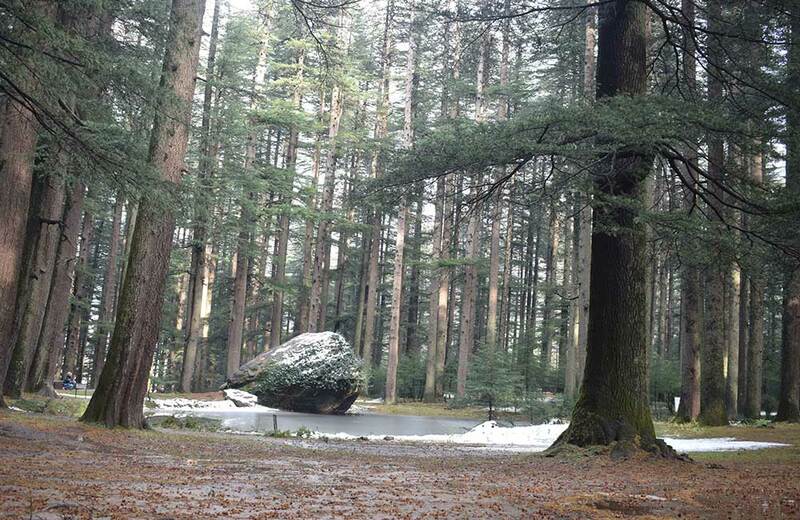 If you are looking for some tranquil moments in the bohemian setting of Manali town, a short stroll through the Van Vihar Park is highly recommended. One of the most popular attractions in Manali, Van Vihar is a public park complete with lushness and sky touching deodar trees. You can even hop onto a boat and maneuver around the man-made lake here. Bird watchers will enjoy spotting local species in the park, especially in the morning hours. The soothing silence of the Nyingmapa Buddhist Temple in Manali will calm even the most frazzled of nerves. This Shangri-La-like haven sits in the middle of the busy town, while its pagoda-style architecture and vibrant tones add a mystical allure to the whole setting. While here, don’t forget to spin the prayer wheels and admire the Sakyamuni idol and wall paintings. 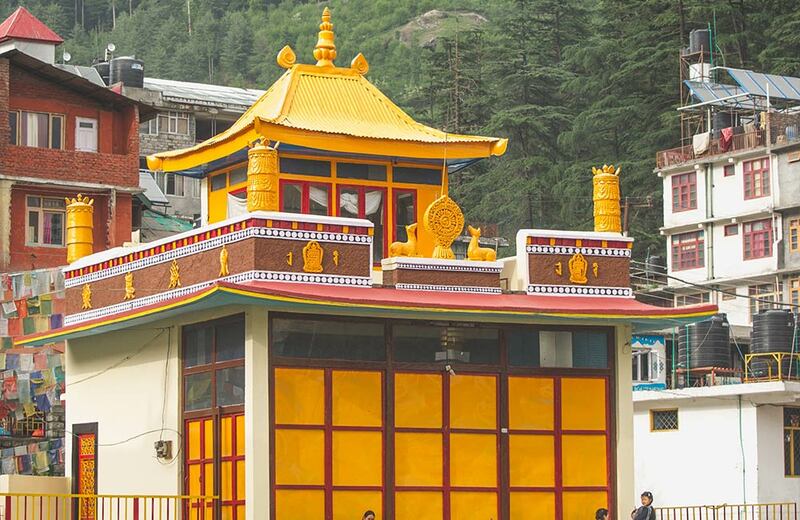 Counted among the best monasteries in Manali, Nyingmapa is where you can connect with your spiritual side. A place of great spiritual importance, Vashisht village is home to a beautiful temple set amidst the dramatic Himalayan topography. It is believed that the temple has a history of more than 4000 years and the interiors of the shrine feature wooden carvings, antique figures, and paintings. What makes this destination even more unique is the presence of hot springs that are believed to hold healing properties. What’s more, the place also offers modern-day visitors a glimpse into the old history of Manali. You can also enjoy some shopping in the surrounding area – the woolens here are very famous. A quick stop at the Museum of Himachal Culture and Folk Art is recommended for those who want a glimpse into the traditions and rich local heritage of the region. Some of the exhibits here include a collection of masks used in festival dances, traditional garments, and musical instruments. Established in 1998, this small yet culturally rich place also has models of ancient houses and temples. Located on the iconic Spiti highway at an altitude of 2500 meters, Kothi is a charming hamlet in the mountains that is renowned for its scenic setting and the majestic views it offers of the snow-capped peaks and glaciers. It is at the foothills of Rohtang Pass and the terrain is sculpted by the Beas which flows through this part of the region. The village is also a perfect spot for camping, especially if you are planning to explore Rohtang Pass on foot. The village also has a temple dedicated to Goddess Shuwang Chandika. The Beas River is a natural landmark in the region that will accompany you on most parts of your Manali trip. Vashisht village is considered to be one of the best places to enjoy excellent views of the river valley while a trip to Kothi will bring you up close to its clear blue waters. The Beas is a hub of water sports such as kayaking and rafting and the village of Pridi is considered to have some of the most exciting rapids. Touted as one of the best places to visit in Manali and its surrounding regions, the Great Himalayan National Park is a UNESCO World Heritage site. 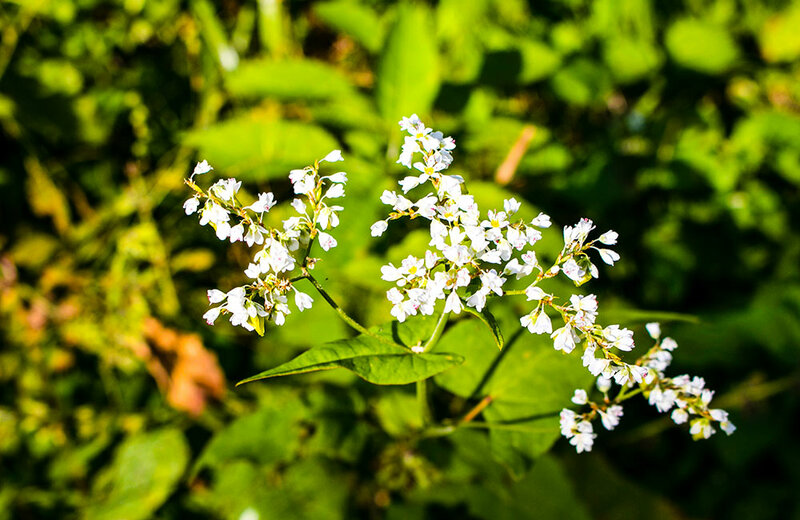 The park is home to many rare species, including over 1000 plants, 209 bird species, and 31 mammal species. The elusive snow leopard is the apex predator here, and there are populations of the Himalayan tahr and brown bears. Photographers will relish capturing the wildflowers and glacial valleys that dot the entire terrain. You can also engage in some fun nature activities like hiking and camping in designated areas of the National Park. Permits to enter the park need to be obtained in advance and the park offers many simple yet decent accommodation options within it. A trip to Manali should include visits to nearby villages to experience the distinct culture of the place along with stunning visuals. You will not be disappointed if you add Gulaba to your list. 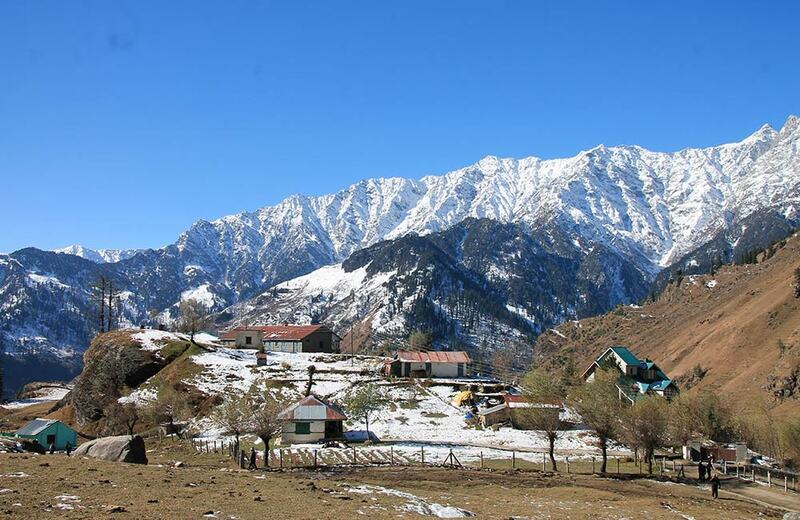 A favorite haunt for winter travelers who yearn for some snowy landscapes, the village has some of the most captivating trekking routes in Himachal Pradesh. Many consider it a good spot for camping and stargazing because of the low light pollution and high altitude. Old Manali refers to the more antiquated part of town. 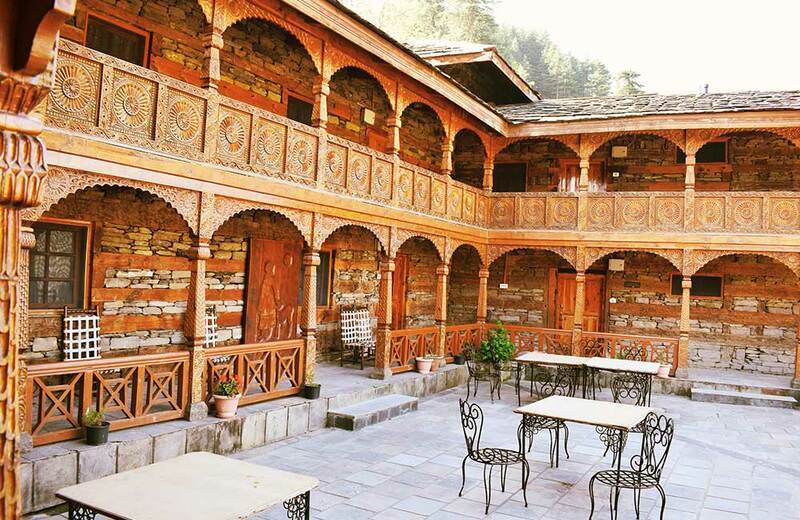 Here, visitors can wander around the streets and catch vignettes of a bygone age, when Manali was a sleepy pilgrimage town before the backpackers arrived in droves. Old Manali offers some of the best views in the region because of the forests and apple orchards around the settlement. 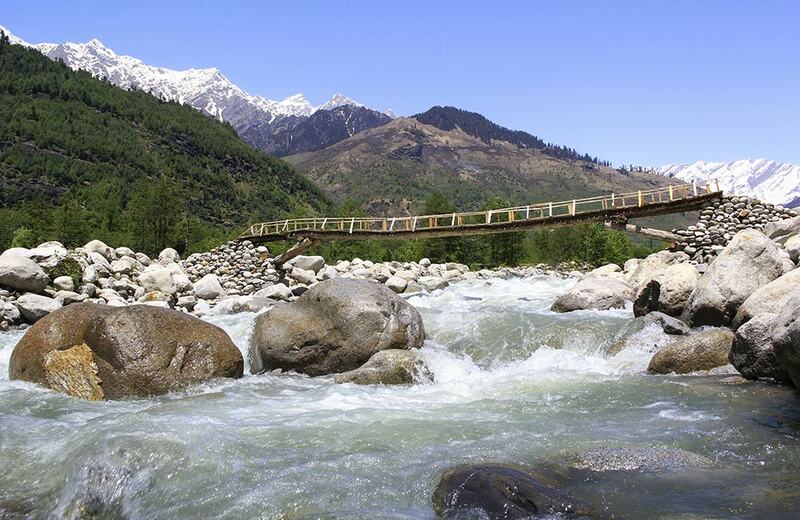 The bridge over the high-current Manaslu River separates Old Manali from the main town and is an iconic image in itself. While here, you can go café crawling at some of the popular cafés in Manali, such as Café 1947, Born Free, Evergreen, and Sunshine or go on a shopping spree and buy dream catchers, boho chic clothing, shrugs, and woolens. During the monsoon and post-monsoon seasons, Rahala Falls is an incredibly powerful sight, with its waters cascading onto the rocks and spraying the visitors with fresh, cold mountain water. There are many picnic areas near the falls where you can tuck into some basket goodies and enjoy a great time with your family and friends. 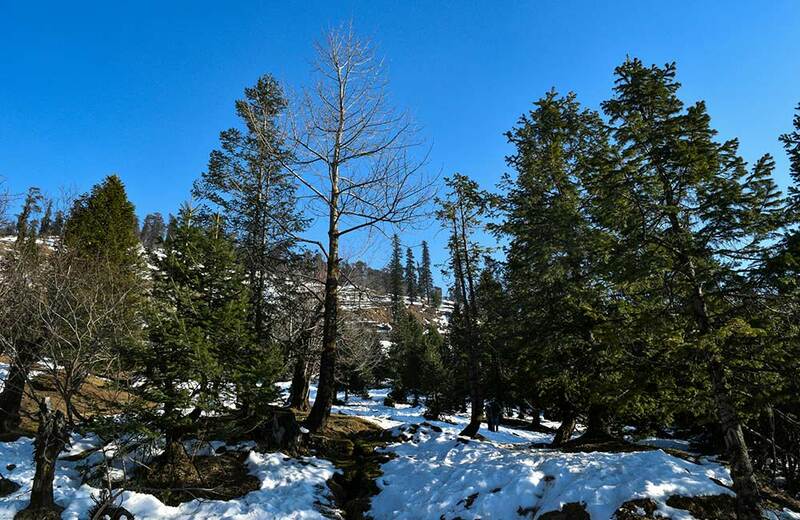 There are many beautiful hiking trails around the waterfalls and exploring the region through thickly populated deodar and silver birch trees is an experience in itself. Jagatsukh is a delightful settlement tucked in the mountains and famous for its temples. The backdrop of shimmering snowy peaks and deep verdant forests make visiting this place a visual treat. 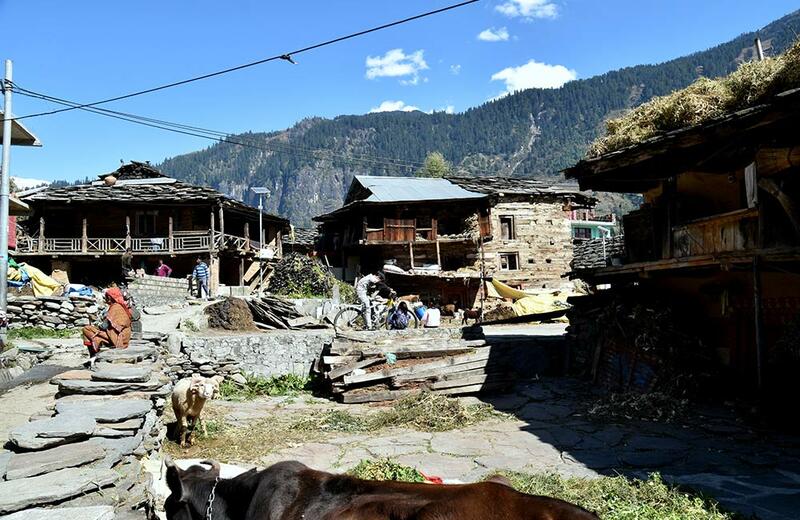 Jagatsukh is one of the major villages in the Kullu region and a good place to enjoy some of the vernacular architecture. Those who want to trek into the Deo Tibba Mountains can use Jagatsukh as a base. 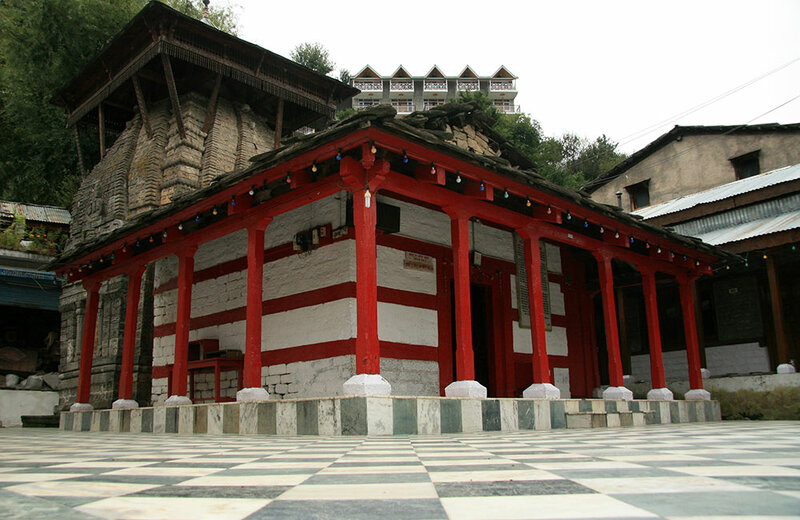 The Devi Sharbali temple located here is one of the many interesting tourist places in Manali region. Located on the Beas Valley amidst scenic surroundings, Naggar Castle is a 15th-century historical edifice in the Kullu Region. Built by Raja Sidh Singh of Kullu, the castle is now a heritage hotel run by Himachal Pradesh Tourism Development Corporation. The wooden structure of the castle is an architectural marvel and reflects the very distinct style usually found in the region, combined with some European elements added to it over the years. You can catch fantastic views of the town and the adjacent alpine forests from the castle. 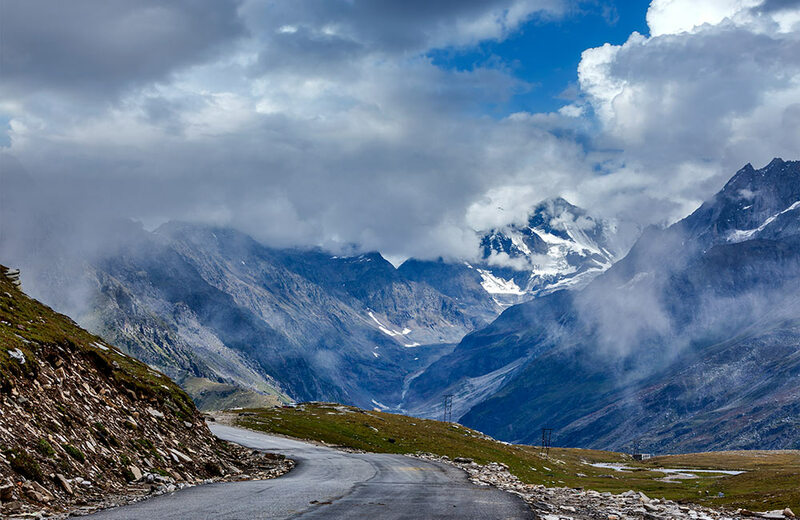 Dedicate a day in your Manali itinerary to visit Rohtang Pass and you will not regret it. Located at an elevation of 4000 meters above sea level, this high mountain pass on the Pir Panjal Range will leave you breathless. 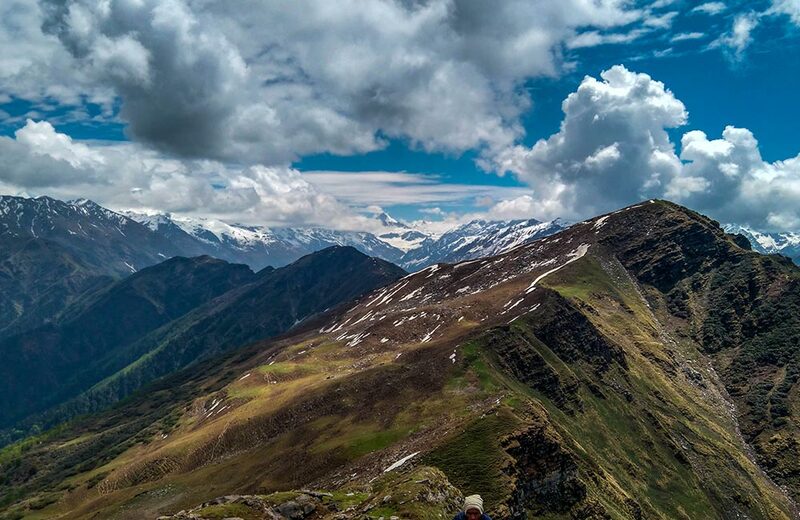 In addition to being a favorite hub of nature lovers, artists, and photographers for generations, Rohtang Pass is also a haven for adventure activities like mountain biking and skiing. The pass has been featured in many Bollywood movies, including Jab We Met. A fishing paradise, Katrain offers an undulating landscape that is rather distinct from the sweeping terrains you will encounter on the rest of your Manali excursions. The village ticks all the boxes of the quintessential Himachali village. While here, do try out some of the local delicacies filled with rustic, wholesome flavors. Apart from the bounty of trout in its crystal waters, Katrain is a good place for hiking. The Gauri Shankar Temple is known for its Shikhara style of architecture and numerous carvings on the stone walls. The temple, which traces its origins back to the 12th century and believed to be the last structure in the Gurjara-Pratihara traditions, is dedicated to Lord Shiva. The carvings on the walls depict a variety of gods and other sacred motifs. 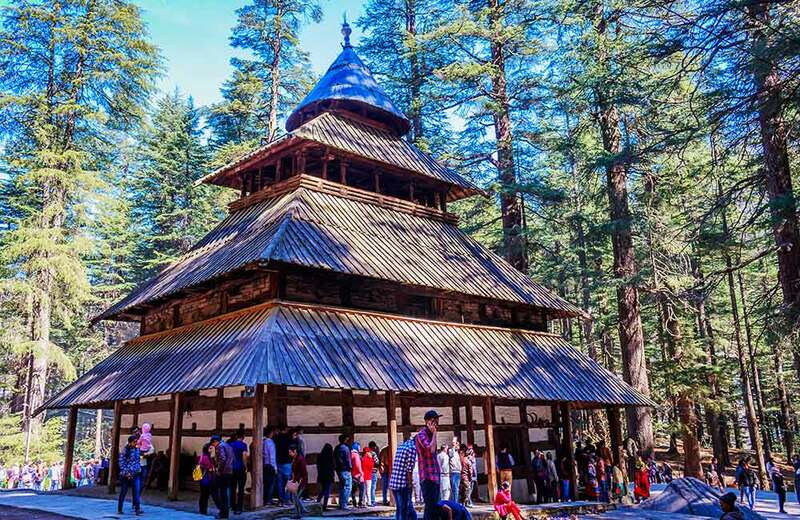 Surrounded by lush greenery, Gauri Shankar Temple is one of the most important temples in Manali. Located about 2 km from the town, Manali Sanctuary offers you an unparalleled wilderness experience. The sanctuary that spreads over 31.8 square kilometers is home to many endangered and rarely sighted species and animals. During the summer, ibex herds descend into the range, so keep your zooming lenses handy if you like to take photographs. Maple, walnut, and deodar groves add extra allure to this sanctuary, especially in the autumn months when the leaves create a tapestry of colors. Adventure seekers can opt for the trekking and camping facilities at the sanctuary. 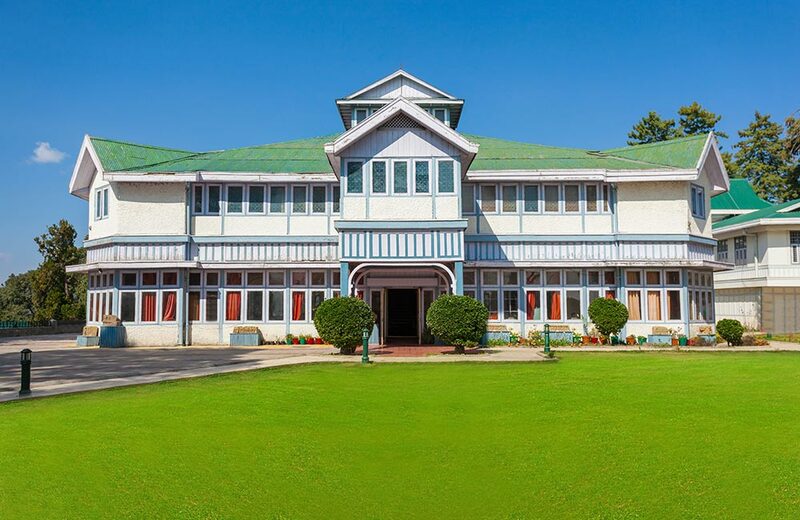 Named after a famous Russian artist who spent decades in Himachal Pradesh after fleeing the revolution, the Nicholas Roerich Art gallery and Museum celebrates his artistic tributes. Artifacts displayed here include rare photographs of the artist, landscape paintings, and portraits of the indigenous population. The museum, which was founded in 1962, is housed in the building that once served as his residence. 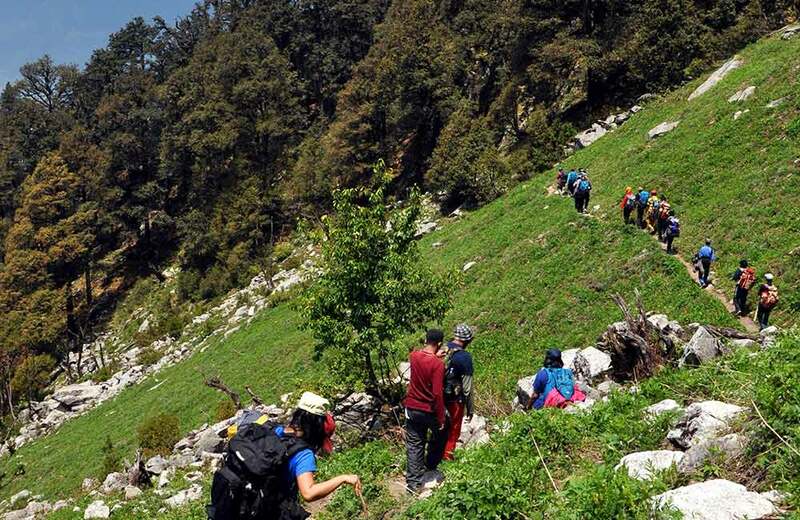 The arresting natural beauty of Himachal Pradesh can be encapsulated by a trek to the Chandrakhani Pass. It is also at this pass that you can visit the famed village of Malana, which is home to a very distinct community and famous for its cannabis crops. Chandrakhani Pass is a favorite spot for photographers as it is a vantage point to view the prominent peaks of the region, including the Deo Tibba, the Parvati range, and the Pir Panjal. 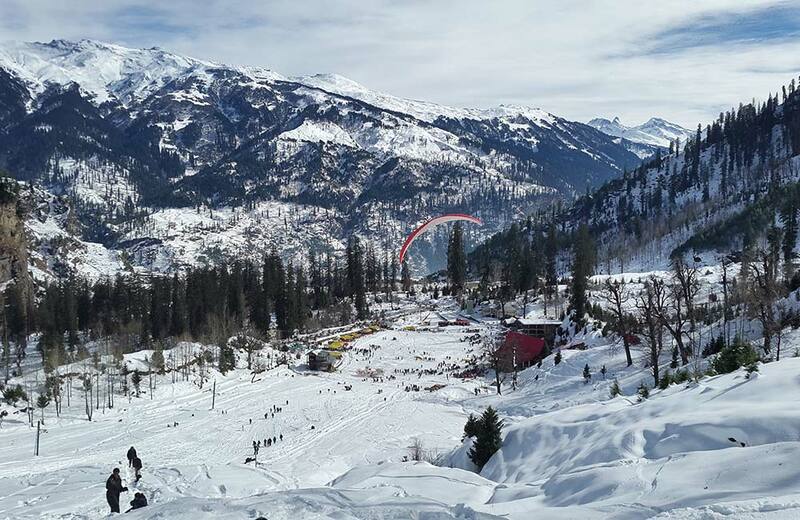 This list of places to visit in Manali will tell you one thing – the place offers something for everyone. Enjoy the sight of misty peaks, test your endurance by engaging in a session of trekking or simply relax in the coziness of small-town hospitality – the choice is yours. So start making plans and find your calling.